a white storage unit that arrived in the driveway just before Thanksgiving. As the holidays approached, I decided that the storage unit represented the big gift of the renovation. 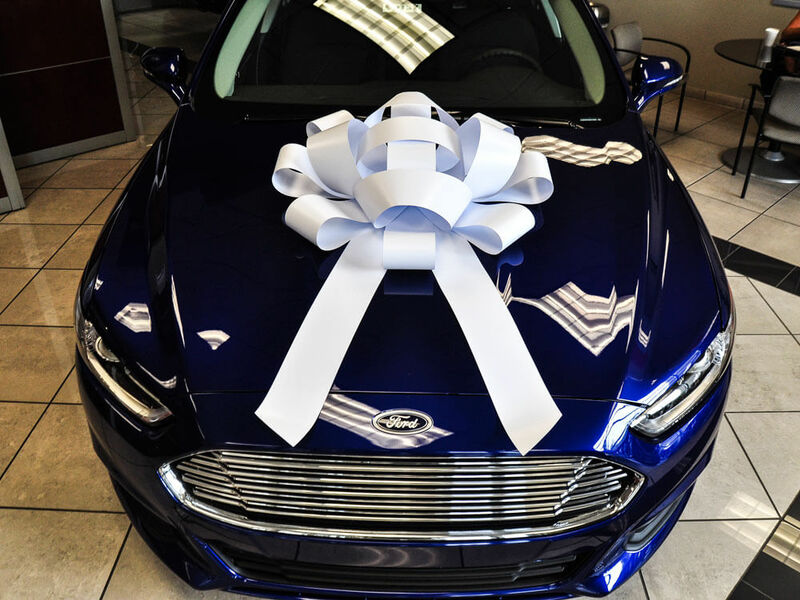 We all know a big gift needs a big bow. I ordered a car bow and attached it to the side of the white storage unit for the holidays. We live in a small town and everyone loved it!